^ Thanks HotLap, we are actually going there (LAX) in June. I'll definitely do it!! 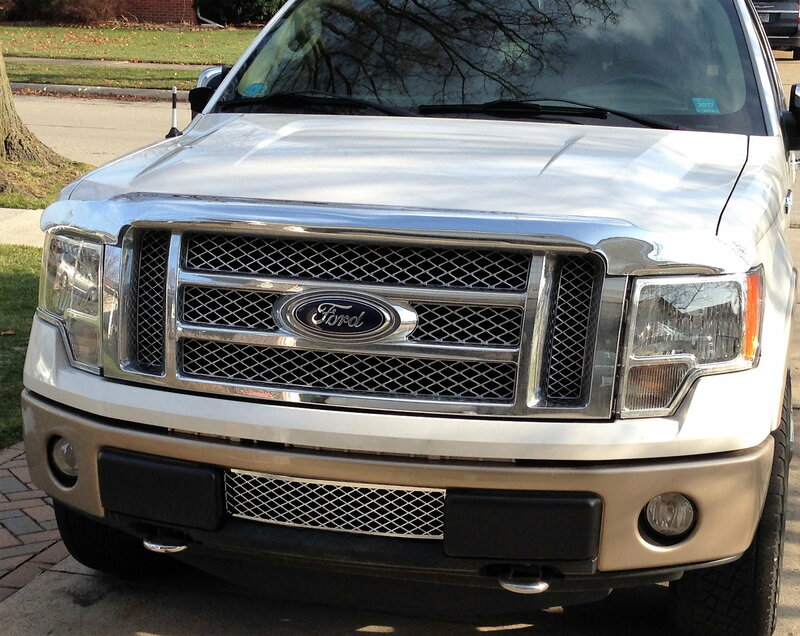 Just installed lower grill insert on my 2011 Lariat. Nice look........ and did just yank the license plate holder off...... don't need it in MI. Does EB left side "bread loaf" fit on 2009 Ford F150? Some may think it looks like a$$, but I would like to allow more air get through to my radiator. My truck runs a little warm. I'm going to flush the radiator system soon to clean it out completely. I live in California, so the the front plate is a requirement. I don't want the hassle of a $20 fix-it ticket. 2inch level kit with 18x10s or 20x10s?